Diane Tomecek, President & CEO Diane began her non-profit career with The Butterfly Pavilion in Westminster, Colorado. Diane’s skill at problem solving and attention to fine detail combined with her big-picture outlook make her an asset to nonprofit organizations. Diane has spent the last fourteen years working and volunteering for many nonprofits including The Butterfly Pavilion, Family Tree, Inc., The Colorado Mountain Club, Denver Museum of Nature and Science, Downtown Aquarium, The Community Resource Center, The River Otter Alliance and, most recently, The Women’s Foundation of Colorado. 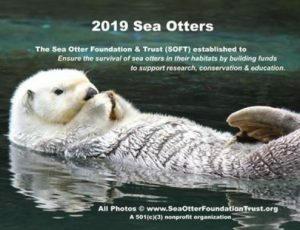 Via these nonprofit organizations, Diane has gained valuable experience regarding the nonprofit industry giving her the skills to succeed in a leadership position with the Sea Otter Foundation & Trust. In her free time, Diane enjoys maintaining a Facebook page and blog dedicated to otter education and she is making it a personal mission to visit every zoological facility that has sea otters. She only has a few left! She enjoys long-distance running, animal and landscape photography and traveling to new locales. We know that the holidays bring about a time of giving. • Does it involve volunteering at an animal shelter, a wildlife rehabilitation center or a nonprofit organization whose mission you strongly support? • Does it involve listening to a friend and empathizing with their plight? • Does it involve giving a gift to someone who might be cheered by your thoughtful kindness? • Does it involve making a donation to your favorite charity and learning about how your gift made all the difference? 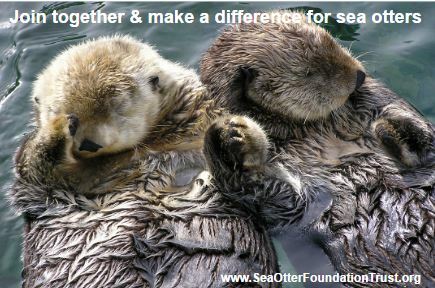 For us at the Sea Otter Foundation & Trust, giving involves all of these ideas and…so much more. We have been sparked by sea otters – and the mission of our organization, the Sea Otter Foundation & Trust to make a difference for sea otters in a completely new way – has been a guiding light for this organization. *The ability of zoos, aquariums & other nonprofit organizations to impact the rehabilitation of non-releasable sea otter pups. There is still work to be done for sea otters – we need you to continue our mission of ensuring the survival and recovery of sea otters in their habitats by building funds to support sea otter research, conservation & education. 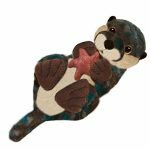 We thank you on behalf of sea otters and our mission.